The world is a dangerous place. 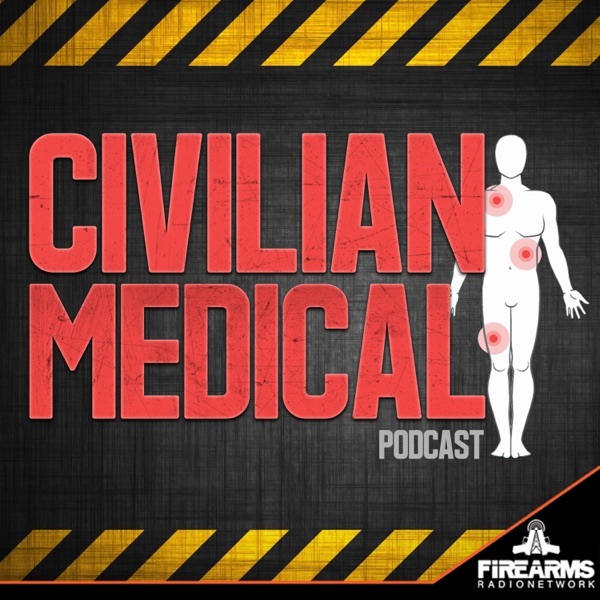 The Civilian Medical Podcast aims to prepare and educate you for the day you hope never comes. Regardless of your skill level, we’ll be providing information on skills, products, techniques, mindset, as well as interviewing guests and experts in the field. Spend some time with us discussing medical training and skills you need, it just may save your life. Recap: Phases of Care m-a-r-C-h CIRCULATION PULSES Carotid Femoral Radial ESTIMATED BLOOD PRESSURES Carotid 60-70 Femoral 70-80Radial 80-90 Secondary Blood Sweep SHOCK What is Shock? Some symptoms of shock Compensated Decompensated Irreversible Physiological responses to blood loss. Basic shock first aid – is raising the legs above the heart myth or what MEDICS ONLY TXA … Continue reading "CMP 006 – Circulation And Shock"
REFRESH: What does march stand for, the other phases of care Third Phase of Care: tactical evacuation care The final phase of care under TECC is called “Evacuation Care.” During this phase of care, an effort is being made to move the casualty toward a definitive treatment facility. Most additional interventions during this phase of … Continue reading "CMP 005 – Evacuation / Respiration"
SECOND PHASE OF CARE – Indirect Threat or Tactical Field Care a. Indirect Threat – care rendered once the responder and casualties are no longer under effective hostile fire or environment . Available medical equipment is still limited. Time to evacuation may vary from minutes to hours. b. The Management Care Plan for Tactical Field … Continue reading "CMP 004 – Indirect Threat / Airway"
Direct Threat – “Care Under Fire” Controlling major bleeding Doing medicine in bad places Put on a TQ and then re-evaluation after the fight Self Aid Massive Bleeding TQ are for arms/legs and wound packing for junctional areas. You can also wound pack if you don’t have a TQ. Tourniquets Talk about different ones on … Continue reading "CMP 003 – Direct Threat / Massive Bleeding"
Civilian Involvement We are not attorneys, ao…. Good samaritan laws – Consent Implied consent Reasonable man concept Negligence Duty of care Standard of care not met Causation Bystander Effect – Introduction to MARCH-E Evacuation Introduction to Phases of Care TCCC – TECC Product Gen 4 SOF-T After Action Motorcycle Accident Civilianmedical for a 10% at … Continue reading "CMP 001 – Not So Skinny Medic"
CMP 000 – What is the Civilian Medical Podcast?